Complimentary valet or validation offered for adjacent parking garage. 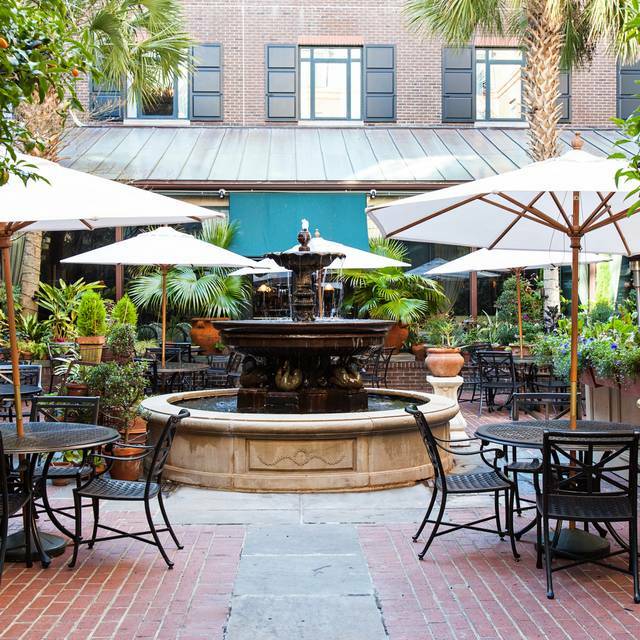 The Palmetto Cafe offers a garden like setting featuring live green walls, rich mahogany furniture and adjoining courtyard. 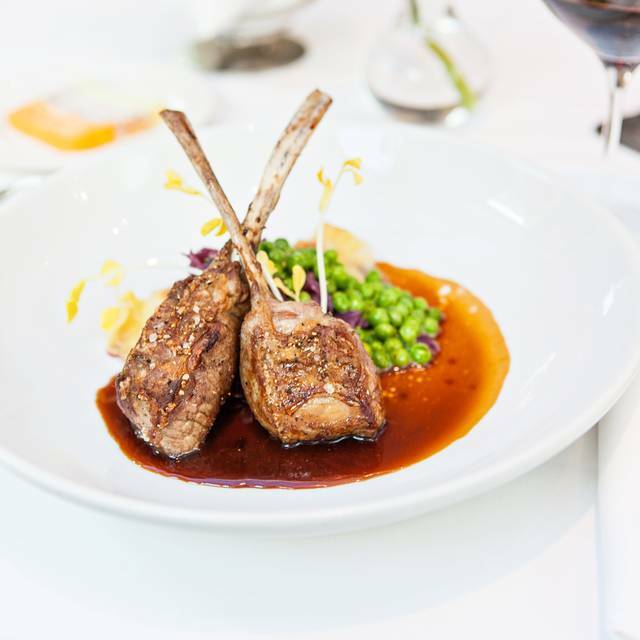 Located on the main floor of Belmond Charleston Placel, the restaurant features innovative American cuisine using only the freshest local ingredients. 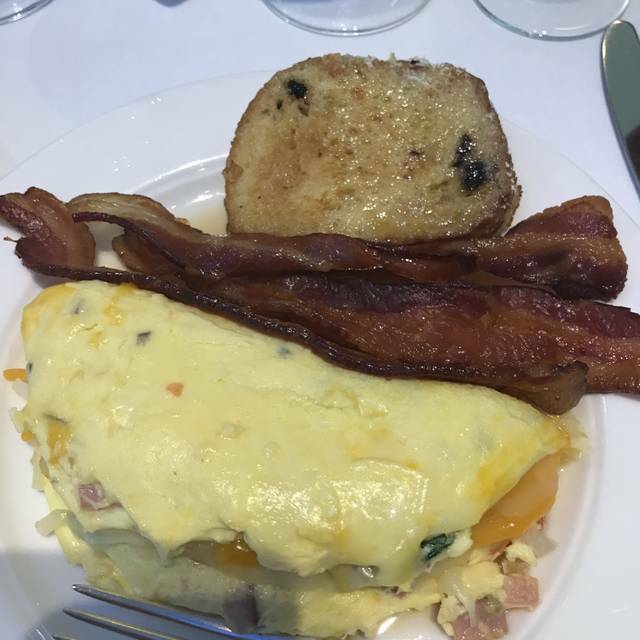 The Palmetto Cafe is open daily for breakfast, lunch and weekend brunch. Very nice Sunday Brunch. Bright, comfortable dining room. Served as breakfast buffet. Enjoyed the omelettes and Bloody Mary’s. Attentive service. While I have dined at the cafe numerous times in the past 6 or 7 years I found this experience to be different. 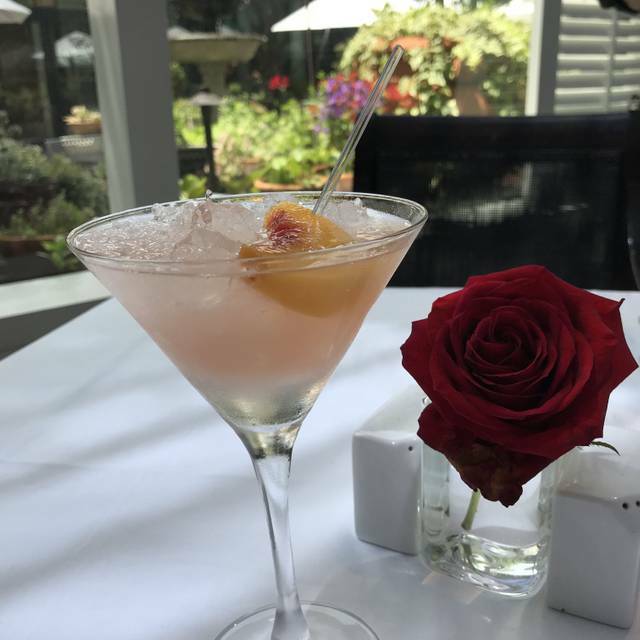 The service is still excellent and the ambiance has not changed, but I was totally caught off guard when I was presented for a bill excessively high for a complimentary voucher I had received at the manager's meeting. I have taken both of my children there for lunch as a birthday gift and have never had to pay anything in addition to the voucher. One year I offered our server an extra $20 for his exemplary service and he refused to take it. In addition, the crab salad was extremely overpriced considering the lack of flavor. I’m afraid that the outdoor courtyard is all that still makes this place special. The buffet is a glorified breakfast bar. Much of the clientele was wearing blue jeans and T-shirts. Not enough food options for this price. I used to love this place. Now it’s overpriced and they need a dress code. Service was good st first, then waitress got hard to find at the end. A very nice breakfast buffet with a disappointing omelet station. Service was very good, decor was lovely and it was overall a good value for a hotel breakfast buffet. Great Sunday brunch. Hostess Lilly does an awesome job. Great food, service and ambiance. I was visiting from out of town and was very impressed with the atmosphere and taste/presentation of the food. Overall, our brunch was amazing! Had to wait a bit for coffee/tea service at first, so we just headed to the buffet instead, where the omelet station had a lovely woman cooking! Once we got back to our table, server mentioned he hadn't seen us sit down the first time. Prices a bit high (can't possibly eat enough to justify), but for a once-in-a-blue moon, we would definitely be back! The overall beauty of the cafe is enough to get us back there! The Palmetto Cafe is in elegant surroundings. The food was good, the service was mediocre. I would recommend you pay the Cafe a visit. Ambiance was amazing but the food was not very good. Our lunch was not worth $100.00. I don’t think we will be returning. This restaurant is gorgeous and the service was top notch. My husband and had breakfast and it was truly wonderful. I loved the buffet because it not only had traditional fare but local favorites like shrimp and grits. 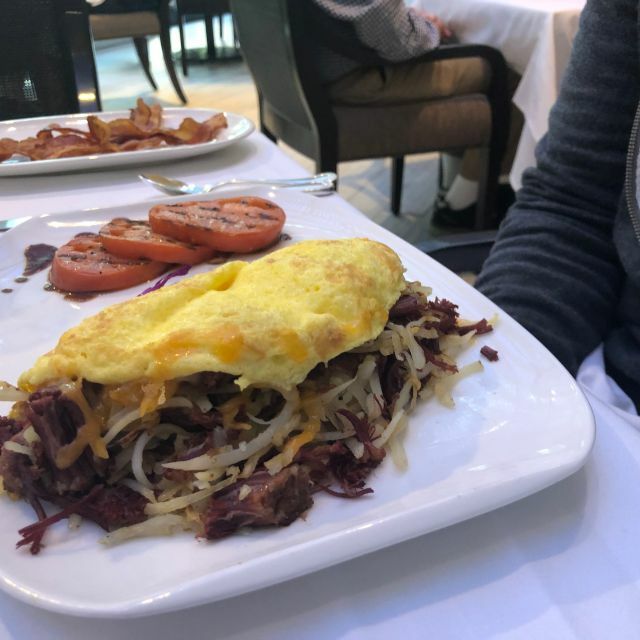 My husband had the corned beef hash omelette and it was incredible. The ambiance was great. The natural light coming in from the ceiling made the space incredible. Firied shrimp tacos, crab salad, chicken salad etc were all exceptional. Lovely day outdoors in the courtyard too. Just perfect. Great atmosphere, great service. Palmetto platter checks all the blocks, fabulous food. One of our favorite places to eat in Charleston. We had Sunday Brunch here. The atmosphere is great, big open and bright glass window seating areas. Food was excellent, fresh and great buffet choices. You have to try the caramel glazed brioche rolls by the omelette station. They are to die for. Paul our waiter was excellent. Can't wait to go back and sit in the open courtyard when weather gets nicer. I have been to the Sunday Brunch buffet many times and it is consistently excellent. The variety of items in the buffet and the quality of the food will not disappoint. Good choice every time. We were taking someone to lunch who had never been to Charleston and chose Palmetto Cafe because I remembered the octopus was the best in the U.S. i was disappointed they took it off the menu but everything we had was excellent. From the peach tea and bread to the crispy plantains and fried snapper - it was excellent. Brianna was the perfect server and very helpful and professional. Highly recommend. Great ambience, perfect service and delicious, fresh food. 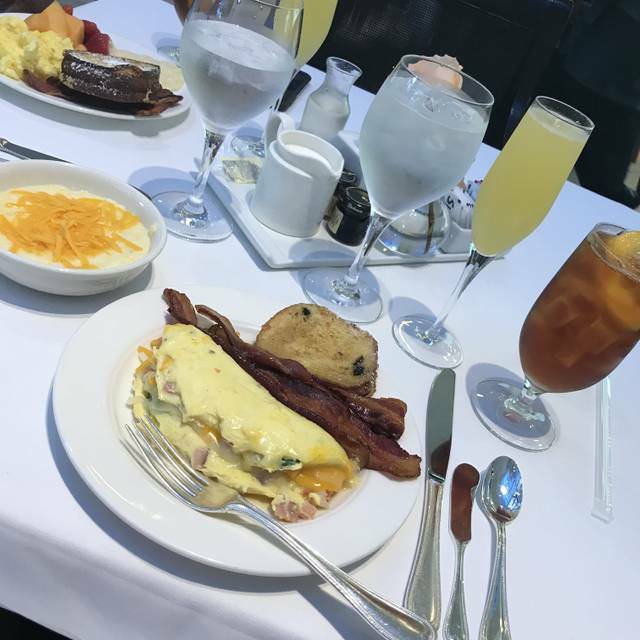 It’s our “go-to” brunch place when we want a nice, relaxing meal. Lily, Gray, and Michael were exceptional. They helped make my birthday very special. 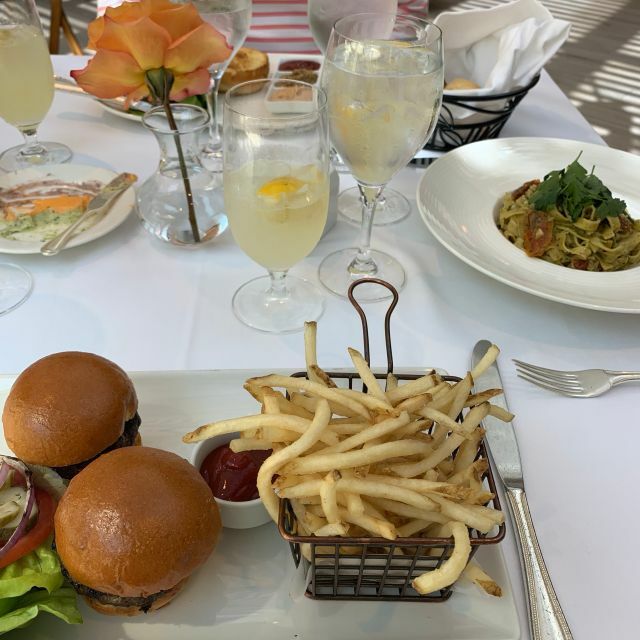 The food was amazing as usual and the service was impeccable! This cafe is always wonderful.We come here for breakfast and lunches.Their food is amazing and such a beautiful presentation.You will never be disappointed ! Food, Service and Ambiance fabulous! We live an hour from Charleston so we visit the city frequently. Unfortunately, my husband and I looked at the menu on line; a menu associated with a Google search under Palmetto Cafe. I still have it downloaded on my phone. We were expecting to spend $50 to $75 for brunch with a mimosa each for 3 but ended up paying, with tip, well over $165. Clearly the menu posted on their Google search is not the correct menu. Having invited a friend to lunch, we were mortified and yet, did not feel it was appropriate to leave after we were seated and given our menus. We felt hoodwinked and did not feel the food was good enough to have paid even what we initially were expecting to pay. Food, service, and ambience were all excellent. Best cheeseburger I have had in a very long time. The restaurant has American cheese available for cheeseburger traditionalists. Simple syrup for the iced tea a great touch. Staff all very hospitable. My scallop appetizer was perfect as were both shrimp entrees that I tasted. Great waiter delicious food and excellent coffee! Zack did a great job as our server! Food was excellent and ambiance delight full. Michael came by to make sure everything was fabulous! The service, ambiance and dining experience was 5 Star. Let me start by saying that I am not a buffet person except at the Palmetto Cafe. What an incredible brunch they present! We have been there several times and because I am not a buffet person, the first time we went, I ordered off the menu and my husband had the buffet. I was so jealous (and my food off the menu was excellent ) as there were so many wonderful, tasty choices. So I learned my lesson and now at the Palmetto Cafe on Sunday, it is always the buffet. Delicious and our friends (first timers) will be returning with their adult children next time. Service is impeccable as well. Wife took me there for my birthday Sunday brunch. Food, ambiance was excellent. Server Nasser was more than excellent. Would definitely recommend and will return for sure. The Café is large, quiet, and has great light. It is one of the few restaurants that is quiet and where I can hear my table companion without yelling (that is a good thing). The waiter was a bit anxious and hung around the table too much. The food was good, but was quite overpriced, which may have accounted for the emptiness of the tables around us. An appetizer at lunch should cost around $10--and ours cost $18. The entrees were $30 and above for lunch--which is out of site for lunch and no one can afford. The salads were $18, which is extreme for a luncheon salad. Too bad this place is only for the ultra-rich. The side dish had a mornay sauce and it was good, but tasted a bit old, like it had been in the refrigerator for a while. I loved the light from overhead and that alone would bring me back sometime in the future, especially if the prices were more in line with normal restaurant pricing. My breakfast was wonderful! 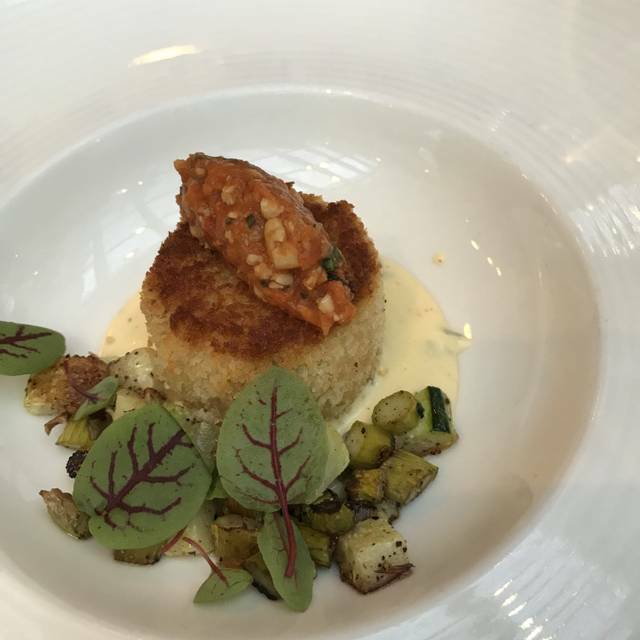 The presentation was superb, quality of the food was excellent and the service was impeccable. Very enjoyable experience! This was a special bday occasion for my guest, and I included notes in the reservation to have champagne on the table for a toast as soon as we got there. The hostess must have seen the notes because she said happy birthday when we checked in; from there I’m not sure where the message was lost. There was no champagne at the table and when our server finally arrived he was clueless we were celebrating anything. When I ordered a bottle of champagne it overflowed quite a bit onto the floor when the server opened the bottle, and we were never offered another bottle or even asked if we were ok to drink the semi-flat (at that point) bottle; he just started pouring like nothing happened. I am optimistic the service issues were due to the server being new but I can’t state this for certain. 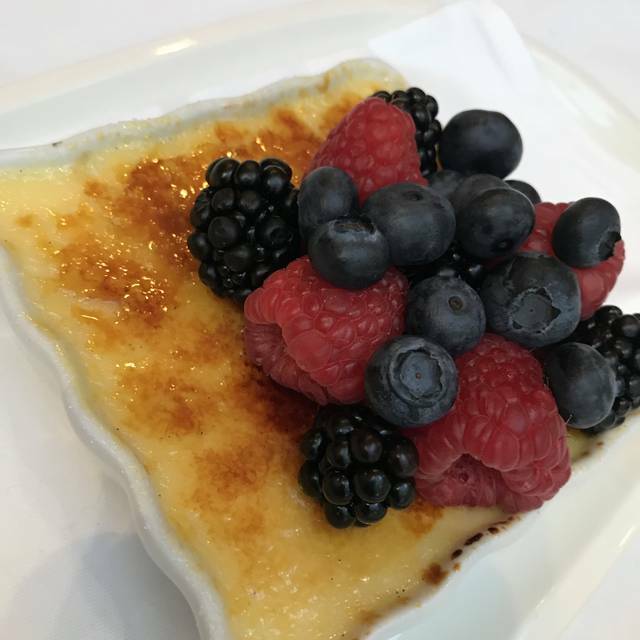 I will say the food was excellent but at that price I would expect excellent service as well and an overall higher standard from start to finish. I was also a bit put off that I had to go out into the shopping area of the hotel to use the restroom. This restroom is notorious for long lines due to its small size and mixed use of shoppers, hotel guests and apparently restaurant guests. This time was no exception which left the bday guest sitting by herself for an inordinate amount of time. The food was great, but at this price the service and overall experience was definitely lackluster. The dining room is atrium like with an overhead glass ceiling. Beautifully finished tile surfaces with a view to the outside garden area. Plenty of room between tables. Our waiter was cordial but not at the expense of being attentive and professional. Excellent service. Two different shift managers dropped by our table to say hello and make certain we had everything we needed. I didn't know that service like this still exists. The food was "off the hook". A wonderful find for us, really made our Sunday. Our waiter CJ made the lunch fun and enjoyable. He went over and beyond !! Had lunch here, nice location. The food and service were very nice too. We had a wonderful Sunday brunch with just about everything you could want and great service. The food was fantastic!